Pibbs Heat Lamps and Hair Processors - Parts Available. Pibbs Industries is one of the world's leading manufacturers of salon, beauty, and spa equipment and furniture for Spas and Beauty Salons. We carry many styles of pibbs heat lamps available with wall arms or w/ caster base available for most heat processing lamps. 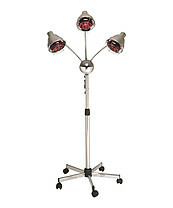 Choose from One, two, three or four headed heat lamp. 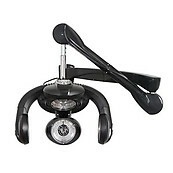 Pibbs 14007 Twin Heat Processing Lamp w/ caster base for color and foils. 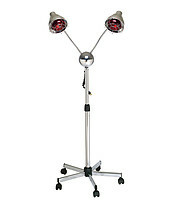 Infared heat lamp which emits a soothing and healing warmth to a localised area of the body. Dimmer control switch enables the intensity of the heat treatment to be controlled. for cosmetic and beauty treatment relief of muscular pains and strains etc..